If you’ve spent any time comparing your options in your search for the perfect midsize car for your needs and budget, you know that there are lots of choices out there. Despite the overwhelming popularity of SUVs and crossovers, there is still a strong market for midsize cars. While these vehicles are known primarily as family commuters, people movers that aim for practicality over pretty much everything else, that doesn’t mean you’re stuck with a ho-hum car. Not when the midsize car you choose is the Kia Optima. That’s right – Kia’s midsize sedan has just what you’re looking for, with sensibility galore plus more: top-of-the-line features, safety, and technology that easily keeps up with competitors that come at higher prices. It comes as little surprise that the Kia Optima saves you money from the start. That’s what the Kia brand has built its reputation on. But a low price doesn’t mean that you’ll miss out on anything. The Optima has its bases covered in terms of features and equipment, making it a smart choice for those who want to squeeze as much as possible out of every dollar they spend. The 2018 Kia Optima is available in five available trims – LX, S, LS 1.6T, EX, AND SX 2.0T – and even the base model is chock-full of good stuff like Bluetooth®*, Apple CarPlay / Android Auto integration, and various safety elements. That means that as you make your way up the trim level ladder, you’ll find even more ways to enhance your Optima with things like more powerful engine options, leather seating, a panoramic sunroof, and more. The best way to see which of these well-equipped Optima trims is right for you is in person. Drivers in and around Charlotte and surrounding areas only need one destination when they’re looking for a great selection of new Kia models, used vehicles, and amazing prices: It’s Renaldo Kia, and we’re standing by to help you find your ultimate car, truck, or SUV for an unbelievable bargain. Explore our inventory online, then head our way to test drive the Optima or other vehicle of your dreams. You’ll immediately see why so many North Carolina car shoppers trust Renaldo Kia for all their automotive needs. Slide into the cabin of the 2018 Optima and you’ll be won over from the start by this midsize sedan’s spacious and comfortable interior. Available upgrades can bring in touches of luxury that will enhance the comfort and the sense that this is a much pricier car than its price tag would indicate. Still, without any upgrades, you’ll get technology and safety standards that raise the bar and make you wonder how Kia manages to offer so much for so little – and why you would choose a midsize car that offers less for more. How Does the 2018 Kia Optima Perform? Why Buy or Lease Your Optima at Renaldo Kia? As affordable as Kia models are, it’s always nice to save even more. That’s a given when you shop Renaldo Kia, where we are committed to getting you the best possible deal on your favorite vehicle. Whether that’s a special offer on one of our featured vehicles, a low-interest loan, a factory incentive, or an exclusive lease offer, you’ll reap tons of savings when you shop our amazing selection of new and used vehicles. 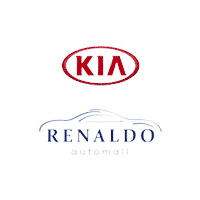 Turn to Renaldo Kia today and find the right car for the right price. We think you’ll become one of our valued customers for life!